My language preference in my browser is set to English, but OpenStreetMap keeps ignoring it. Looking at this map, can an average american tell where Egypt is? Of course not. Because an average human being doesn't know all alphabets of the world. So what should OSM do? It should display the map text in the language the internet user understands. 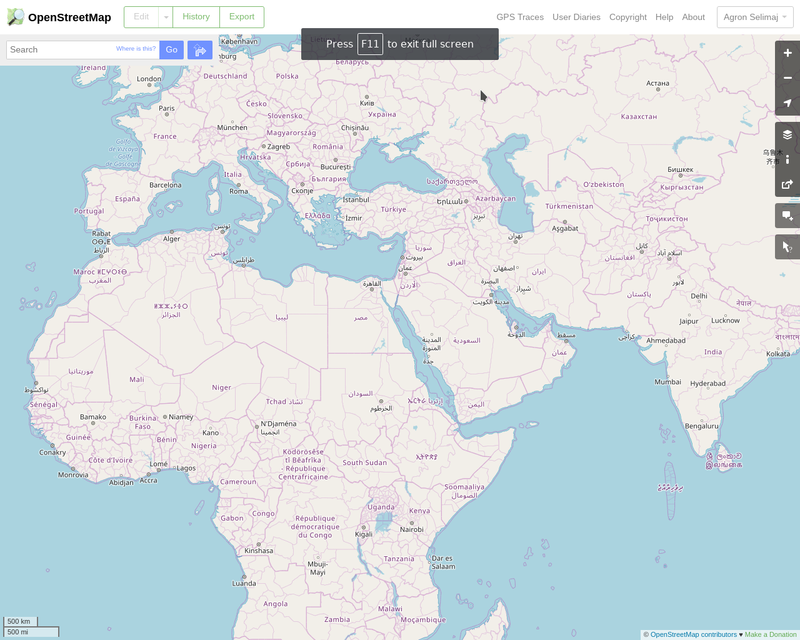 The web site that you're looking at, OpenStreetMap.org, has links to 4 sets of map tiles. 2 of those 4 layers (including this one) do contain the names of countries both in local language and using Latin characters. Many other websites use openstreetmap data (including the one that nevw linked to), and many of those target cultures that only understand certain languages or character sets. What openstreetmap.org is not is an advertising portal designed to show content targeted at you. Each of those 4 map layers is visible to everyone anywhere in the world - that's why despite your browser saying "I only understand a dialect of English" you see local language, everywhere. It's perfectly possible to created "targeted maps" with OpenStreetMap data provided you follow the attribution rules (and plenty of people do), but it's not something that you'll see at the project's own website. can an average american tell where Egypt is? I'm not sure that's OpenStreetMap's problem, to be fair.